In order to successfully run our distribution operation in Bangladesh, we need to carefully monitor and manage our purchases, sales and accounts. With the strong knowledge of the distribution environment Samooha offered us an adapted and fully customized solution. Their integrated ERP system is perfectly capable to support our complex process flow, track our inventory and accurately generate reports and P&L – all under a single application. Samooha’s capability to support inter-companies allows BestinBrand to create a connection between the headquarter in Singapore and the distribution center in Dhaka. Samooha’s User Access Rights and Document Control feature enables BestinBrands better control over which data and transactions accessible for different type of users within the company. 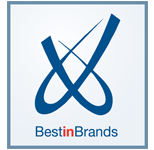 Samooha’s Batch Management process supported BestinBrands to more accurately track and manage their inventory batch. Samooha’s capabilities in tracking Sales & Purchase Fulfillment helped BestinBrands to more accurately forecast and plan for their Demand and Supply.